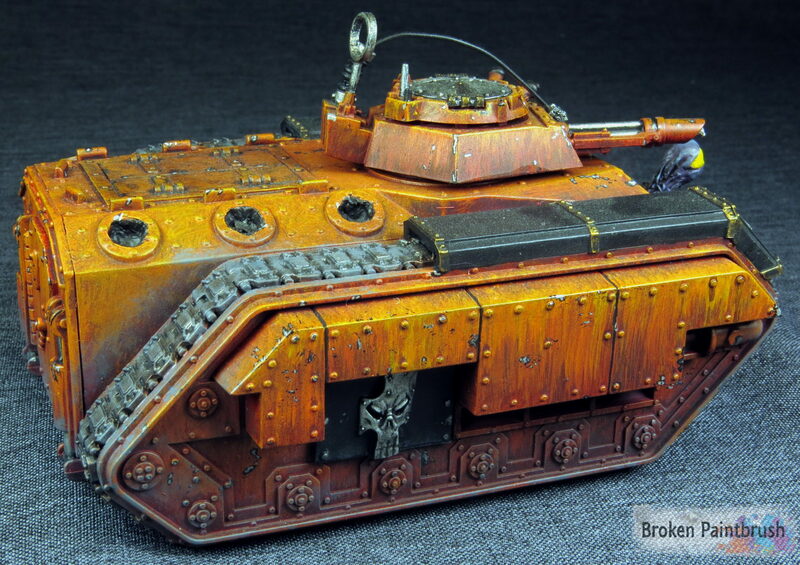 At the very twisted heart of the Traitor Guard is the Command Company. From here the villainous orders can be issued forth and enemy armies sundered. — lets get real here, the IG Command Company squad is an extremely fragile piece of work, they usually ride around in their Chimera issuing orders and avoiding getting shot, but they look darn cool doing it. 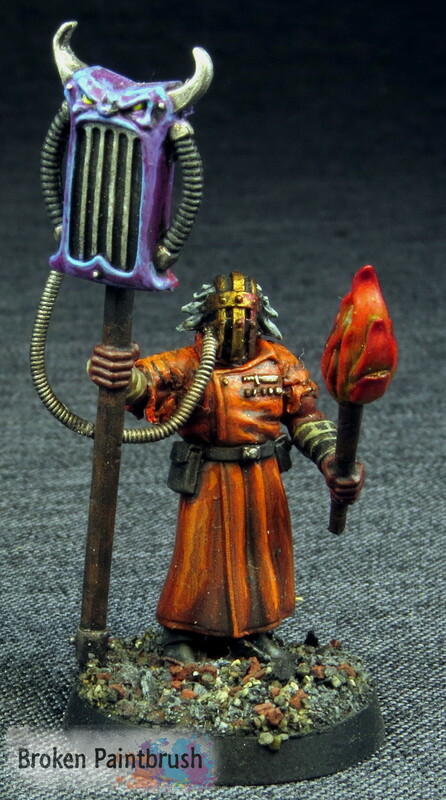 To keep the ride moving, and because who doesn’t like AdMech we have Dark Mechanicus Tech Priest joining the team. Whats great about the Ad Mech guys is that they already look really sinister, so just adding a simple chaos star servo skull was all that was needed. I added some object source lighting on both his front facing lamp and the glowing energy source on his back. 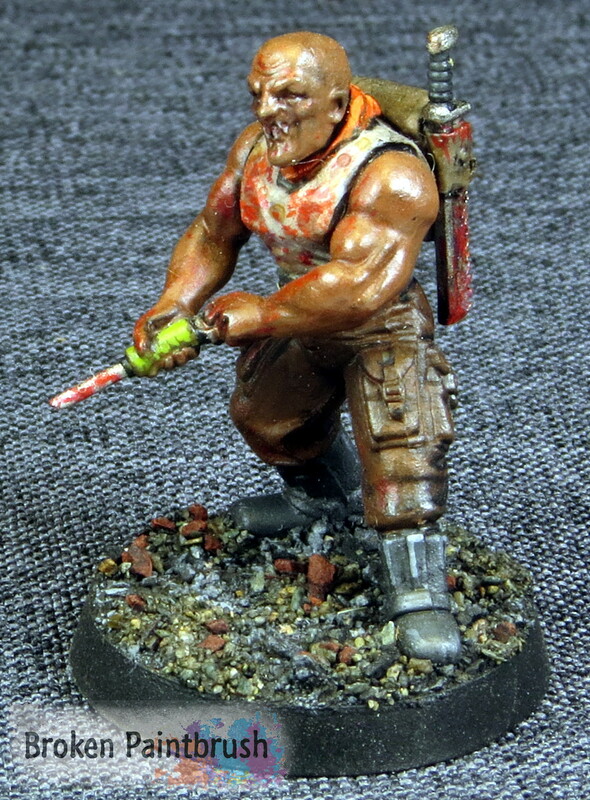 Another sinister looking model with very little work needed was this Inquisitor model turned company commander. In fact they only thing I did was remove the [==|==] from his chest. Clearly he isn’t a very good what-you-see model, as the IG can’t just upgrade the commander’s armor. I’ll often play him as Creed which does give the improved armor, but now has a sword instead of a second gun… perhaps at some point I should rework this idea. I kept the cape in the same line of color graduation as the tanks but in reverse order. So the bright orange/yellow at the ends with the deep reds at the top. To lead the crazy army through the warp is my take on the astropath. Its a great mash-up of the Baneblade commander, Flagellant head and arms, and an old chaos tank accessory for the PA. To tie the arms back into the nice looking jacket I added some green stuff sleeves in tatters. And their infamous ride. For me the fragility of the command company is in great contrast the amazing orders that the command can give – especially when upgraded to Creed. To get past this issue, their faithful Chimera APC shuttles them about while providing at least another layer of protection. 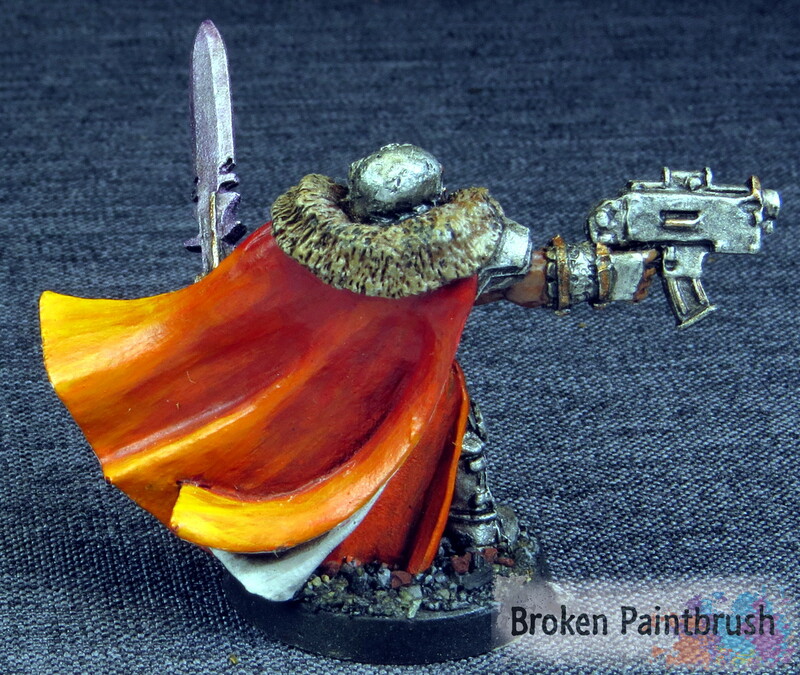 The blind bearer has the honor of being the Company Standard Bearer and dutifully pointing some random direction. The banner is from the Cadian Command Squad [on Amazon] with careful filing off of the eagles it makes for a nice Chaos Star. The butcher – I mean doctor – is a gory mess that somehow helps keep the squad alive a bit longer. He is an expensive upgrade but so worth those few extra hits they can survive. 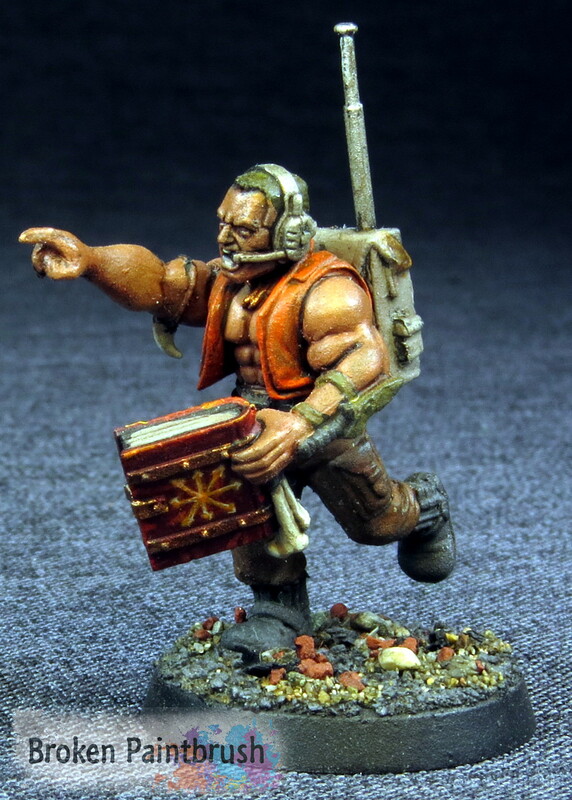 The guy is actually from the Catachan Command box, for my army I’ve using a bit of both mixed together. 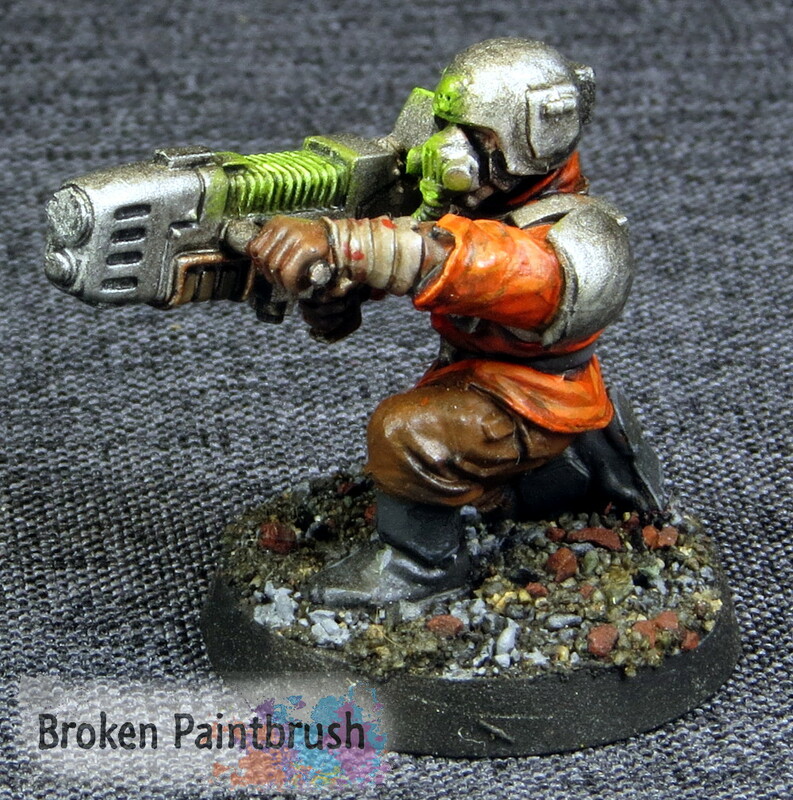 The faithful, yet naive, plasma gunner. He’s already taken one hit from his own gun and yet he keeps firing away hoping to please the boss. The vox caster doubles as the squad’s preacher. The book is from the Flagellant kit, so many great bits well worth the price just for things like this book with bones as a bookmark. Using a Catachan arm meant to hold his las-gun, it worked perfectly to hold the tomb of heretic knowledge. So what are your guy’s thoughts on the company command squad – a must have or a fluffy wish-it-worked-better unit? Let me know in the comments below.